“Switch Hitting” falls squarely in Black-ish’s wheelhouse. It’s exactly the kind of story the show was created to tell, so it comes as no surprise that the episode was written by series creator Kenya Barris. 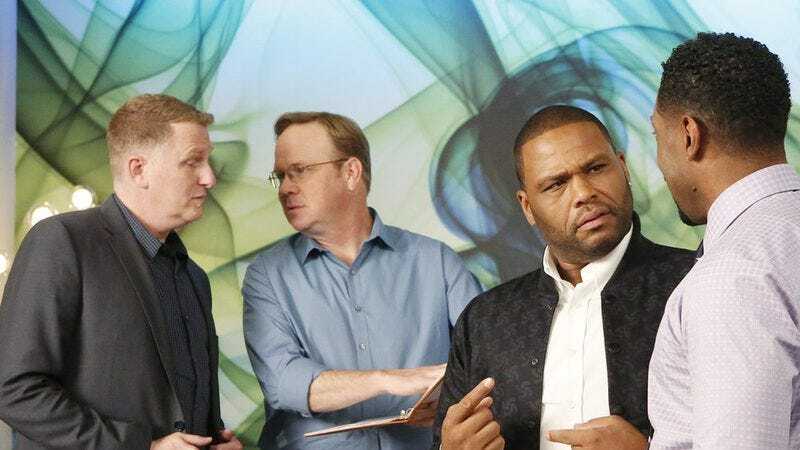 “Switch Hitting” is the type of episode Black-ish should be able to slay with ease, and yet the episode never quite reaches its full potential. It’s a perfectly funny half-hour, but it has some conceptual flaws that weaken its impact. A good buddy of mine, who is black, recently got married and relocated to Salt Lake City with his wife after she accepted a prestigious medical fellowship. He told me about an unsettling experience he had, one that deals directly with the themes of double consciousness invoked in “Switch Hitting.” When news broke that a grand jury failed to indict former Ferguson, Missouri police officer Darren Wilson in the shooting death of Michael Brown, my friend was Jazzercising. He’s a dutiful husband, you see, so he agreed to accompany his wife to a group fitness class populated almost exclusively by middle-aged white women. None of this was cause for alarm until the Ferguson news came out, and he was in a place where he felt too removed from the widespread sadness and rage that swept through the black community. It’s not that he wanted to be somewhere protesting, he just didn’t want to be doing a choreographed fitness routine with white soccer moms at that precise moment. The story is hilarious, but also goes to a deeper, more poignant truth about the realities of double consciousness and code switching, which affect black people’s lives every single day. Dre is grappling with these complex dynamics in “Switch Hitting,” but the catalyst is the arrival of Jay (Michael Rappaport), a potential client hoping Dre can help his e-commerce business appeal to black consumers. Jay is a classic “down” white boy, whose seemingly effortless command of black culture sends Dre into a tizzy out of concern that Jay doesn’t think he’s cool enough to handle the account. Within those facts lies a really interesting story about the challenge Dre faces as he makes his living trying to find the pulse of a community to which he doesn’t always feel connected. “Switch Hitting” swats at that story, but mostly steers around it in favor of providing Dre another opportunity to behave like a spoiled child. 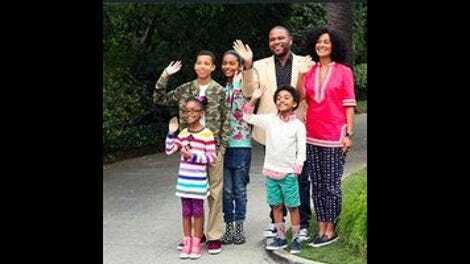 I’ve written previously about Black-ish’s skews toward a male’s perspective when it deals directly with racial dynamics, as if women don’t have to calibrate their identities in the same way. That problem became more glaring in “Switch Hitting,” which reduces blackness down to black masculine cool, failing to make any distinction between the two. In addition to omitting the feminine perspective on blackness, the episode cheapens the show’s central concept by couching it in Dre’s silly insecurities. By now we’ve learned that Dre is an extremely insecure guy, so while all of the talk of double consciousness and identity politics is nice, it isn’t terribly relevant to the story. The episode reads more like Dre has found something new to be insecure about, in the same way he’s gone into crisis mode over Junior’s nerdy hobbies, Rainbow’s dating history, and Zoey’s relationship with a white French kid. Too often, Black-ish episodes hinge on Andre’s realization that he’s being totally stupid, so I watched “Switch Hitting” hoping that point might miraculously arrive prior to the third act. It was not in the cards. Luckily there was some pretty funny stuff going on around Dre, including an always welcome appearance from Pops, who is sweating a potential tax audit, and some cute scenes with Rainbow as she tries to help Jack and Diane with a school project. The secondary plots dovetail with Dre’s quest to win Jay’s approval, ultimately leading Dre to the realization that he doesn’t have to prove his blackness to some white guy. It’s kind of bonkers that this is what passes for a protagonist’s takeaway on this show, but as long as Dre’s character isn’t tweaked between season, there may be a lot of featherweight epiphanies ahead. How is it possible that Deon Cole hasn’t been upped to series regular by now? I completely understand the temptation to cast Rapaport for this role, but I can’t shake the feeling that casting Rapaport was a little too on-the-nose. Granted, one could make the same argument about Jenifer Lewis as Andre’s mama, but c’mon, it’s Jenifer Lewis. I’m not going to quibble. Rainbow’s kale has mad iron, yo.